He’s done it again. 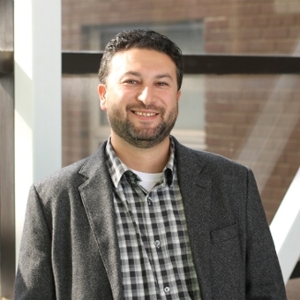 Dr. Matthew Flisfeder, still in his first year here at UWinnipeg as Assistant Professor in the Department of Rhetoric, Writing, and Communications, has published his third book, Postmodern Theory and Blade Runner. The book is part of the “Film Theory in Practice” series, edited by Todd McGowan. Each book in the series considers film theory in the context of the interpretation of a particular film. As the title suggests, Flisfeder offers an analysis of postmodernism in the 1982 science fiction cult classic, Blade Runner. Dr. Flisfeder published The Symbolic, The Sublime, and Slavoj Žižek's Theory of Film in 2012 (Palgrave Macmillan) and Žižek and Media Studies: A Reader, which he co-edited with Louis-Paul Willis, in 2014 (Palgrave Macmillan). 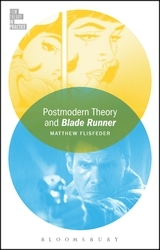 Matthew Flisfeder introduces readers to key concepts in postmodern theory and demonstrates how it can be used for a critical interpretation and analysis of “Blade Runner”, arguably 'the greatest science fiction film'. By contextualizing the film within the culture of late 20th and early 21st-century capitalism, Flisfeder provides a valuable guide for both students and scholars interested in learning more about one of the most significant, influential, and controversial concepts in film and cultural studies of the past 40 years. The "Film Theory in Practice" series fills a gaping hole in the world of film theory. By marrying the explanation of film theory with interpretation of a film, the volumes provide discrete examples of how film theory can serve as the basis for textual analysis. “Postmodern Theory and Blade Runner” offers a concise introduction to Postmodernism in jargon-free language and shows how this theory can be deployed to interpret Ridley Scott's cult film “Blade Runner” (Bloomsbury Publishing, 2017).